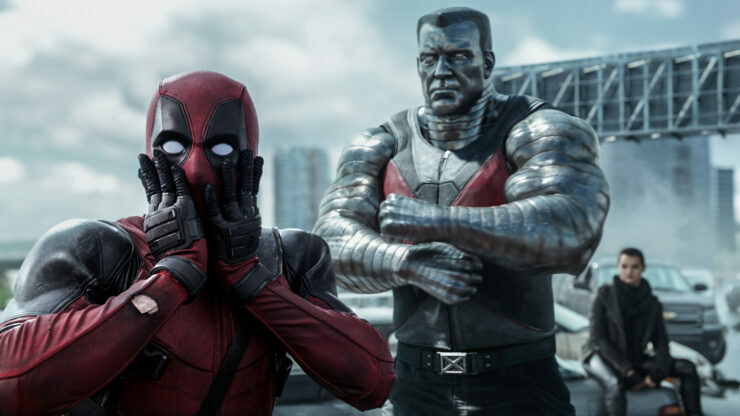 After the surprise box office success of 2015’s Deadpool, returning screenwriters Rhett Reese and Paul Wernick have revealed that fans of Marvel comics can expect to see several familiar faces in the highly anticipated sequel. So far the big new draw for Deadpool 2 has been the much-touted addition of X-Force’s Cable. While the grizzly time-traveler has yet to be cast, Atlanta’s Zazie Beetz has been confirmed to play Cable’s comic book ally -Domino. Yet it now appears that these two known quantities aren’t the only new comic book characters that Wade Wilson will inevitably be making fun of. Speaking to LRM in a recent interview, Rhett Reese and Paul Wernick stated that aside from Cable and Domino, fans can expect to see a few ‘more obscure’ characters in the 2018 sequel. While the original featured well-known X-man Colossus, it also gave the more niche mutant Negasonic Teenage Warhead plenty of screen-time. With far more characters on the cards, the worry is that a bloated cast could mean that the sequel struggles to deliver the original’s sharp wit and impeccable pacing. Thankfully, the duo have a good track record (Deadpool, Zombieland) and with The Martian’s Drew Goddard also helping out on writing duties it looks like the team are doing everything they can to avoid sequelitis. Deadpool 2 hits theaters next January.